Birthday presents are wonderful, especially when they’re so late in the year that you’re no longer expecting them. My buddy Flor came round to my new apartment to help me move house a few weeks back, and he dropped a small box on my table (my new table!) for me to open. Inside? A number of WW2 models courtesy of Black Tree Design! I’d never painted that company’s models before, so I went straight to it. Let’s take a look. My first Black Tree models made a good impression on me. The castings were of great quality and I think they’d been newly cast up for the order. Almost no flash or mould lines to clean up either, and very crisp detail. Good stuff. Plenty of potential for observers or spotters. I really like painting these up, so much in fact that I’m of a mind to do a painting guide on them. 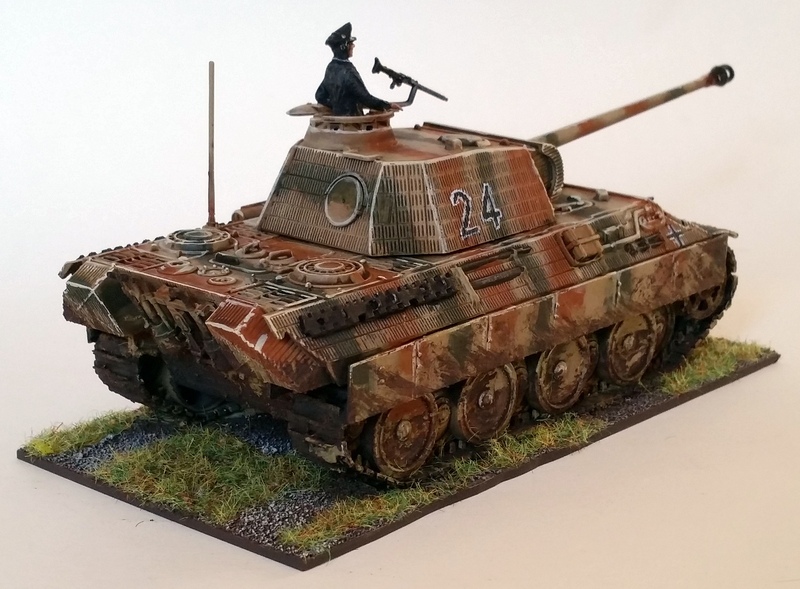 So much so that I have some more in the mail – new plastics from Warlord and even some StuGs! In other news I’m finishing up some Red Devils as well – more Black Tree models. Now to get started on the Frostgrave stuff! 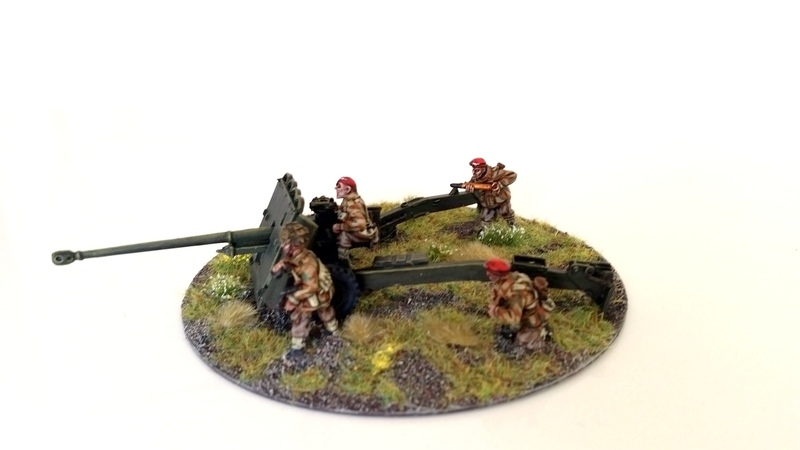 Finally some serious anti-tank weaponry for my Paras! 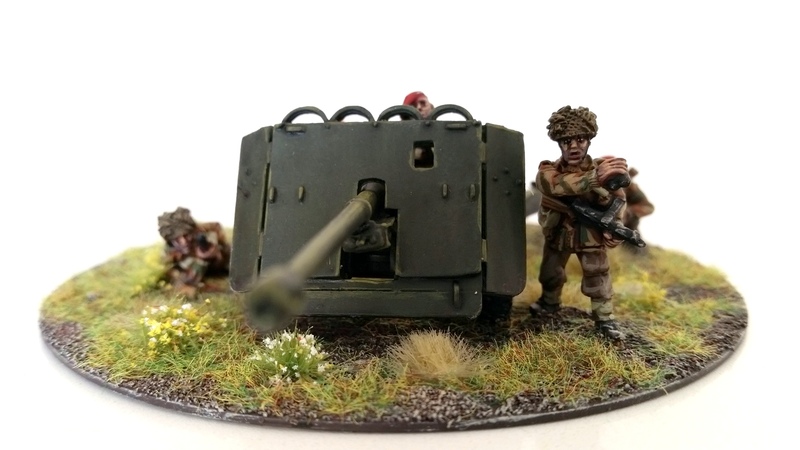 This 17-pdr arrived in my proverbial Christmas stocking last year and I’ve finally managed to get it assembled and painted up. My Fallschirmjaeger have been getting all the love recently as it seems all of my regular opponents have gone the Allied route, so this will likely mean a bit of dust collecting for this here gun. Let’s take a look at it, then! A fantastic model by Warlord Games. An absolute chore to assemble though. I did some head swaps on the crew with some heads off a couple of Welbike riders, to make the latter unit a bit more diversified. Other than that it’s the standard model; not a lot you can do with it or to it, after all. Looking up that barrel is not something my Panthers would like. Painting was exactly identical to the rest of the army, although I did undercoat the models in GW zandri dust – before I used black, but seeing as how I do the denison smocks up from zandri dust it’s a bit of a time saver. All the other colours have better coverage over it as well. A top-down view of the base. Hopefully it’ll fit into some cover rich positions. For the base I used an old CD-R with some black metal burned onto it; haven’t listened to that kind of music in a while so, sorry! I tried to use the open spaces on the base to cram a few different tufts in, and I do like how it ended up looking. Very Market Gardeny. So that’s that then, another Christmas present finally squared away. I have more WW2 stuff in the pipeline soon, as my friend Flor gave me the belated birthday present of Black Tree Design Red Devils and FJs. Fantastic models, those. For now, though, it’s back to Napoleonics. Until next time! I’m getting ready for a big Bolt Action battle against my mate Flor’s Airborne, and when he told me of the ridiculous amount of stuff he’s been churning out lately I knew I had to follow suit with my Germans. Here, then, are two lovely Panthers. 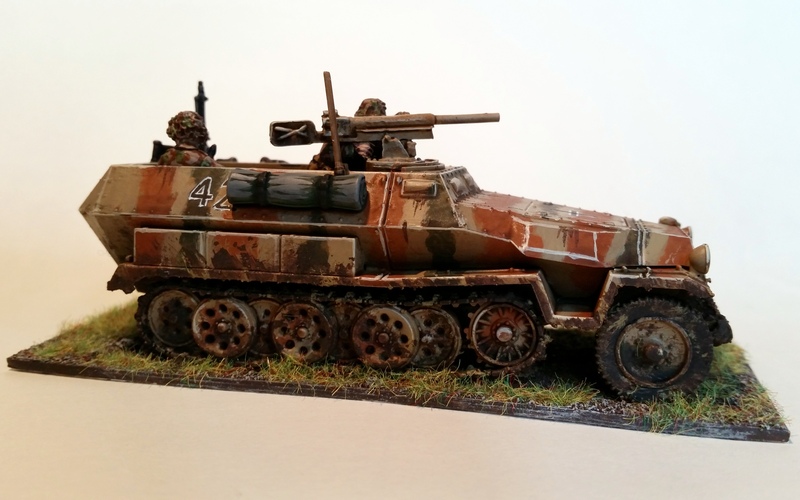 Plastic model by Warlord Games and Italeri. 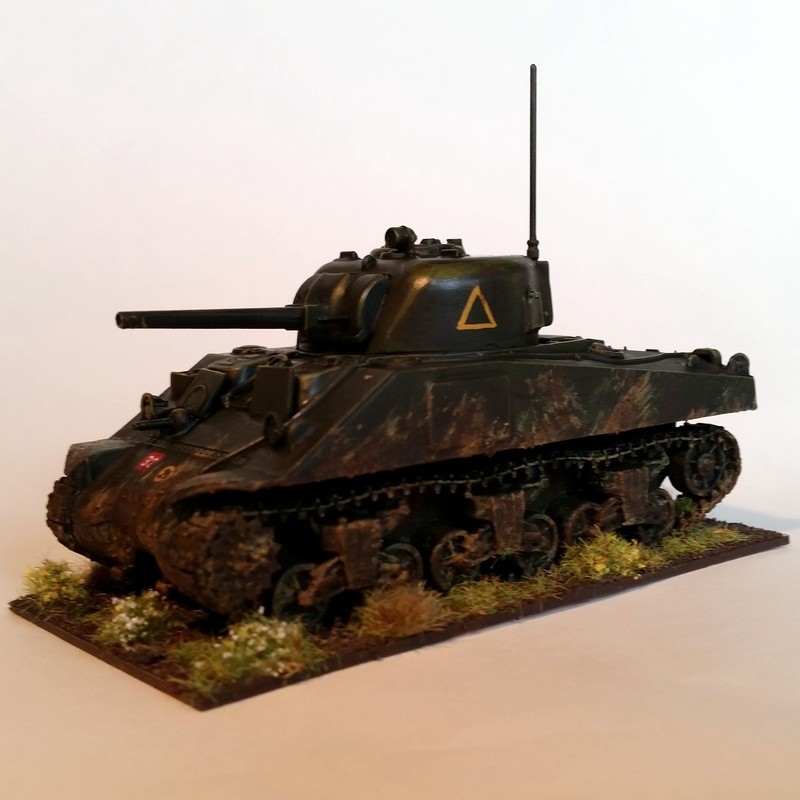 I got these two tanks in an Armoured Fury starter box earlier this year; the Shermans were sold off and I kept the two Panthers. I planned on building them earlier but I had somehow completely missed the fact that the construction diagrams are printed on the box itself – I have these moments sometimes. The commander is a pretty laid back chap called Helmut. Thankfully, the chaps over at the Bolt Action International facebook forum were friendly enough to assist me by sending me pictures and scans of a construction leaflet, so once again massive thanks go out to them! A bit more simple this one, no commander. Paintingwise I stuck with my guns on this one; I want a homogenous armoured force and so everything gets the same treatment. The edge highlighting is very cartoony, but then I’ve never been a fan of fielding gaming quality infantry paintjobs and super realistic vehicles with heaps of weathering powders in the same force. To each his own, of course! Not all of the numbering freehands came out as well as was intended. The Balkenkreuze are fine, though. So that’s that for these little cats. 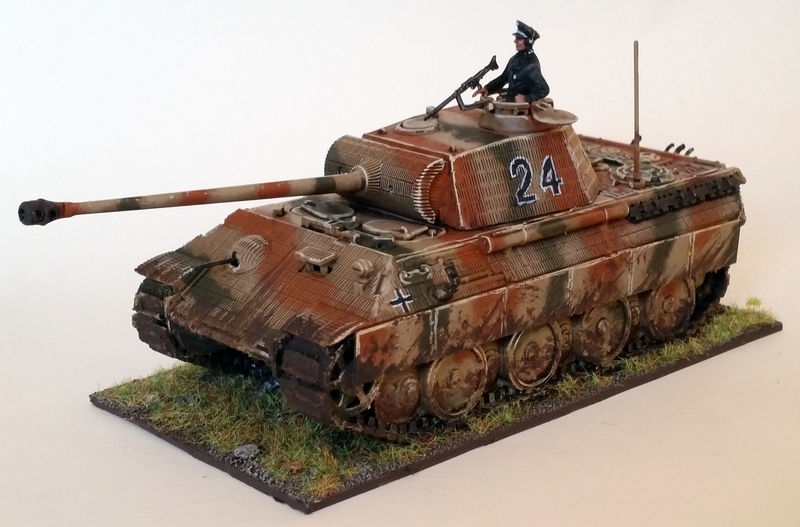 I realise that two Panthers in a standard selector will be a bit top heavy, but my Fallschirmjäger need the support. I’ll be adding more vehicles to the force at a later date to accommodate Tank War battles, but this will have to do for now. 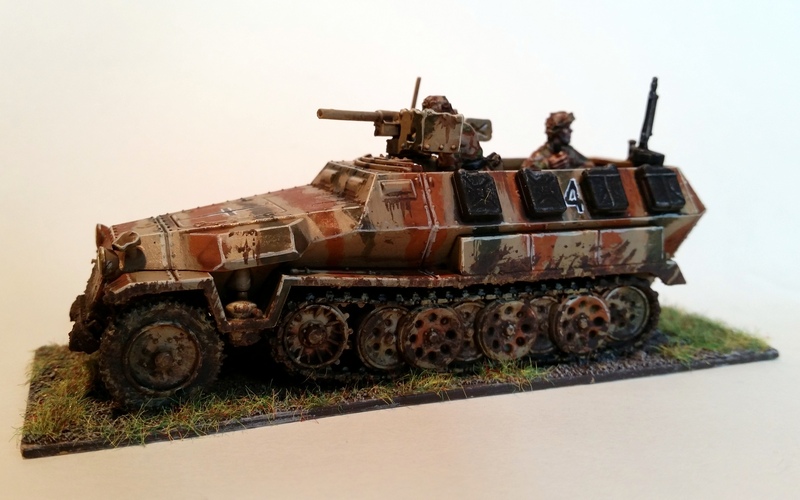 Up next are a couple more Fallschirmjâger and then it’s over for the Germans for a good while. Tschüss! 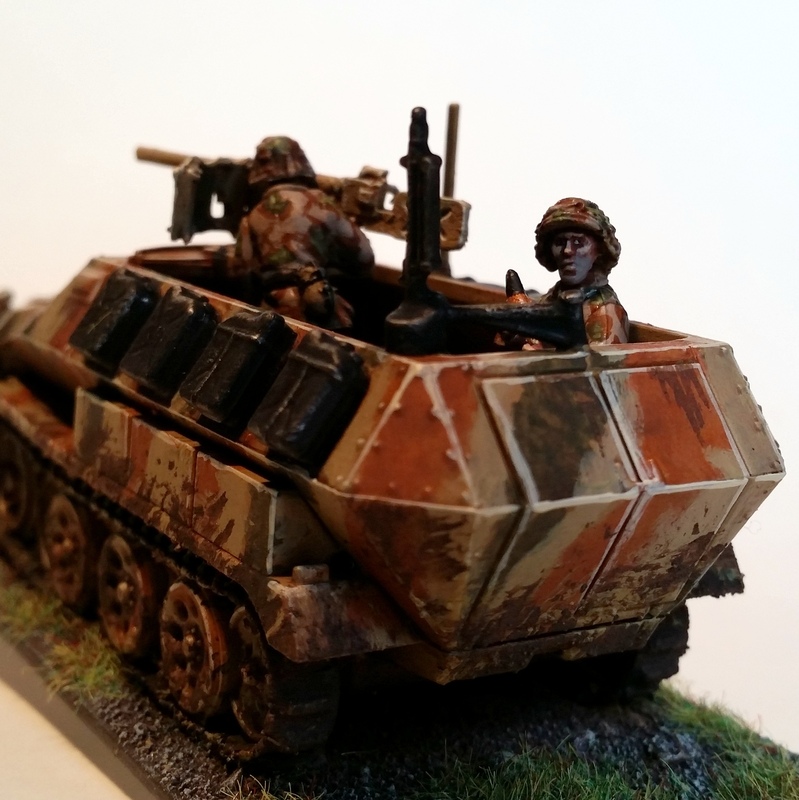 As promised, here’s the third update in three days – my shiny new Hanomag. 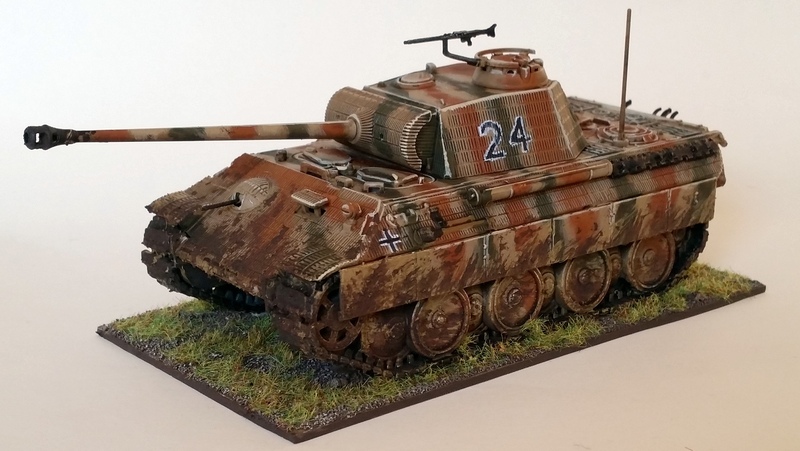 My German force may once again call itself ‘fully painted’, which I’m quite glad for. 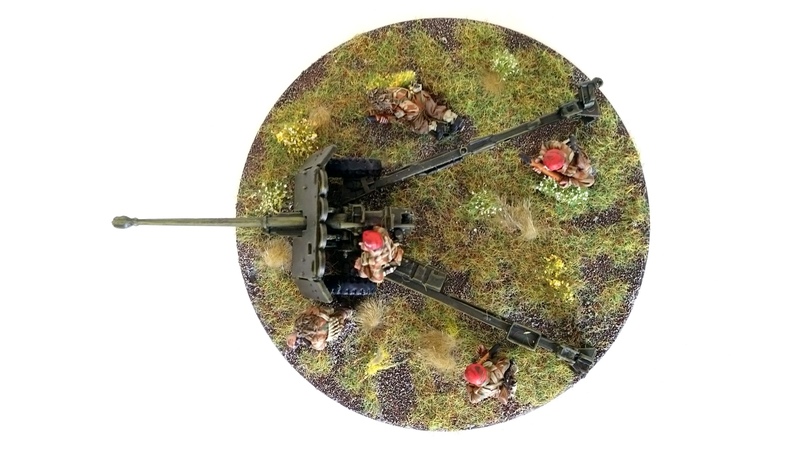 A nice plastic/metal kit from Warlord Games. I put this vehicle on my wishlist before all other vehicles Warlord makes because this is a plastic and metal kit as opposed to resin. While I certainly understand the need for resin, it’s not my preferred material to work with. The plastic 1/56 market is growing exponentially though, so good for me! Knock-knock! The PaK 36 was nicknamed the doorknocker. The paintjob itself was done identically to that of last year’s German vehicles, so no surprises there. There’s something profoundly absurd about taking a neatly painted and edge highlighted model and then splashing loads of mud over the bottom half of it, though. But if it works, it works! Wistful about the Fatherland, Fritz? You know what I did when I first heard I was hired at my current company, back in the summer? I went out, walked around the block and popped into a modelling hobby shop where, lo and behold, some of the new plastic 1/56 scale vehicles from Italeri were present. I got a Sherman in an interesting package: 18 euro for the vehicle and a basic brush, a small pot of plastic glue and a small pot of paint. Warlord Games’ product is a bit more expensive and it doesn’t come with the extras, but I guess they do invest your extra cash into their rulesets and the like. To each his own! I went with a Sherman since, well, the Cromwell wasn’t out yet. Still, there were Shermans in Market Garden which is what my Red Devils are meant for. 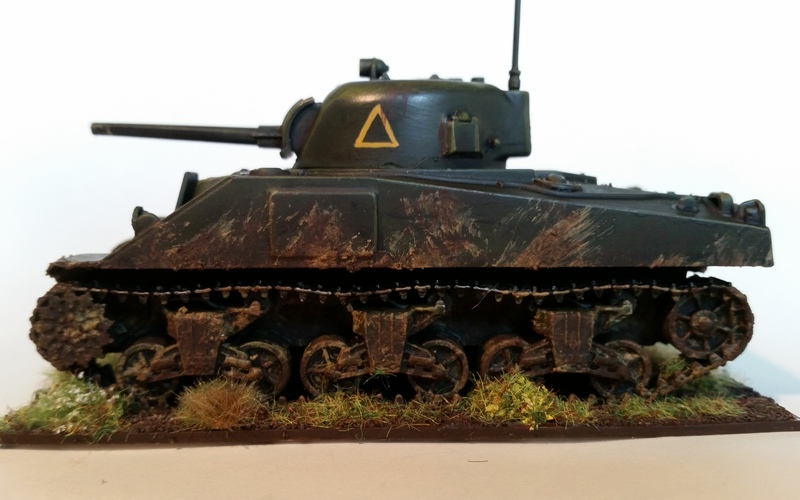 An important disclaimer here: I haven’t done my research properly, and both the type of Sherman and the markings I applied while painting will likely be completely wrong. 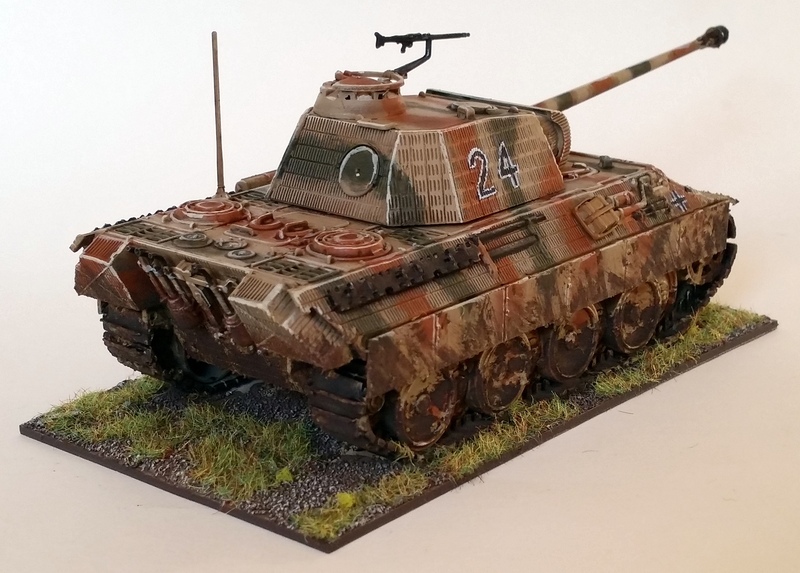 However, I’m a painter first, gamer second, and historical idiot savant ninth, so I really don’t care about having 100% accurate paintjobs – I paint for fun. A nifty plastic kit by Warlord Games and Italeri. Assembling the kit was straightforward and a lot of fun. This is the second plastic vehicle of this kind of kit I’ve constructed, after last year’s Hanomag. Plastic moulding has come a long way, and you no longer need to have a 200-piece kit to have good detail. Still, I would’ve liked to have some separate bits of stowage to personalise the tank; it’s not a big deal for stock Bolt Action games in which this would be the only Sherman to be fielded, but in Tank War matters are different. I lifted the markings from a quick Google Image search. Yes – I’m that bad. I undercoated black and then basecoated with castellan green, which is probably a bit too dark of a green but, again, I don’t care too much about that. I applied edge highlighting with elysian green and then washed the entire tank with AP dark tone, taking care not to let the wash pool up too much. The tracks were then rebasecoated with black and a quick and dirty runefang steel drybrush was applied to it. The same metallic was used on the tools and cables on the hull, and the two machinegun barrels. A nuln oil wash served to tone everything down again. A closeup of the mud. Finally, I went to town on the track sections with armageddon dust (a beige texture paint) and typhus corrosion (a textured dark brown wash). The combination of the two products provide a really dirty finish. I also applied the latter wash to any exhausts, around viewports, the turret ring, and in random sections as a form of greasy residue. 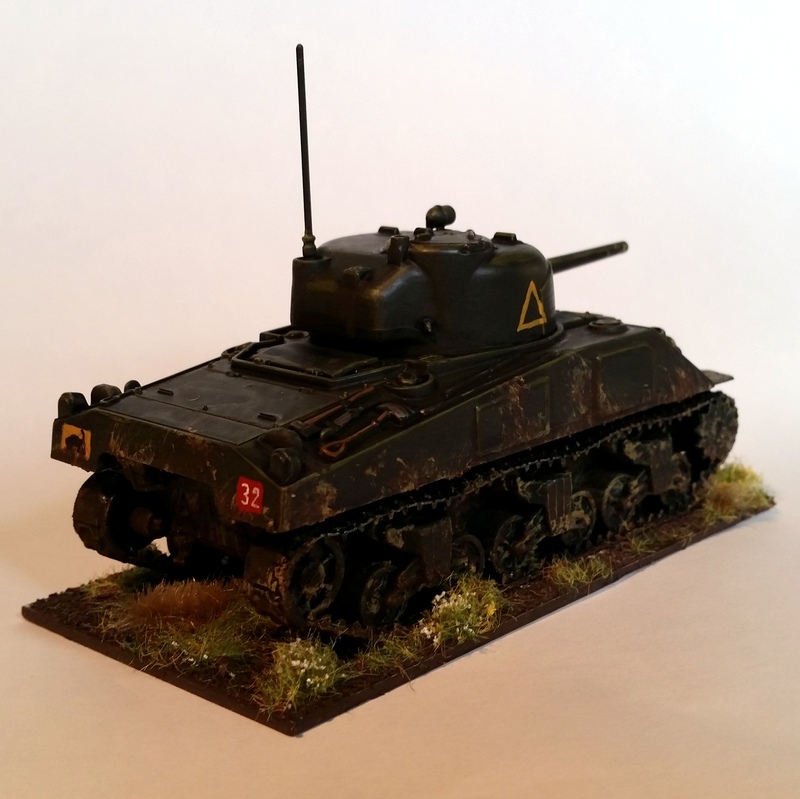 I based the tank on a piece of plasticard which was based as with my Red Devils themselves, and voilà, finally a tank for my Brits!